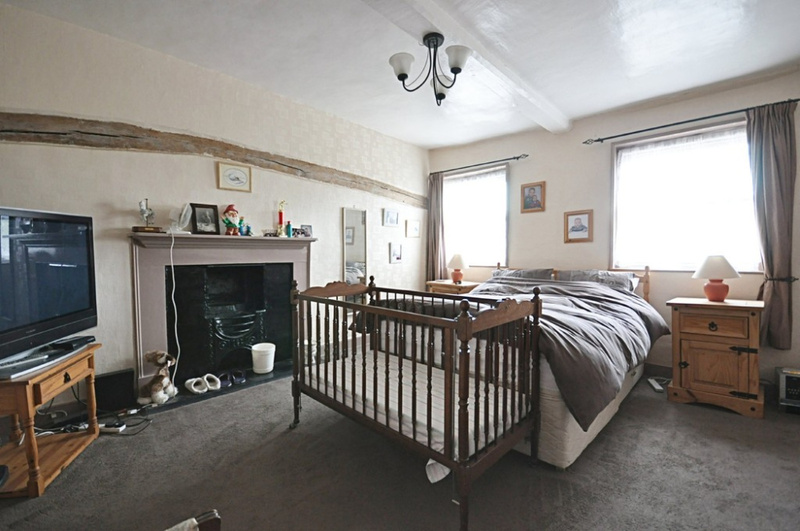 Offering a wealth of CHARACTER AND CHARM. This SUBSTANTIAL and EXTREMELY SPACIOUS, (OVER 3600 SQ FT) Grade II Listed COTTAGE occupies a prime position WITHIN THE CENTRE of this SOUGHT AFTER VILLAGE. Further benefiting from WESTERLY FACING REAR GARDENS, DOUBLE GARAGE and COMMERCIAL PREMISES. 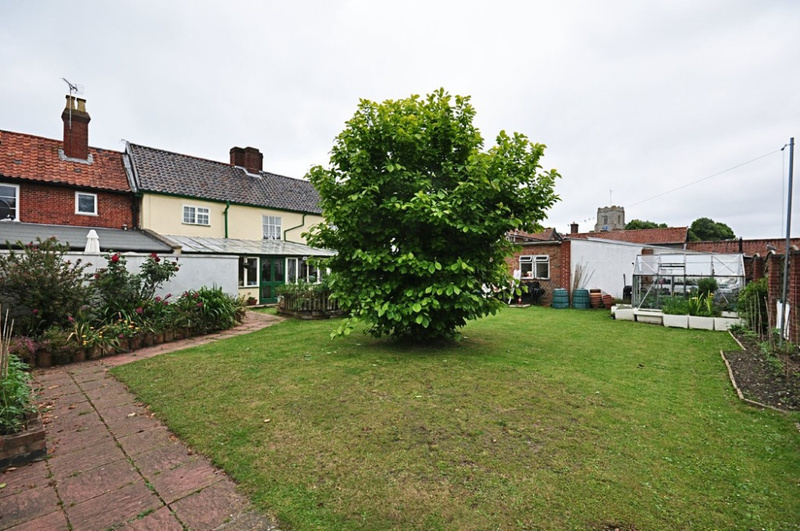 SITUATION Found within the heart of the village the property occupies a most sought after position enjoying a delightful outlook with views over the village green. The attractive and desirable village of Pulham Market adjoins the village of Pulham St Mary known as "The Pulhams". 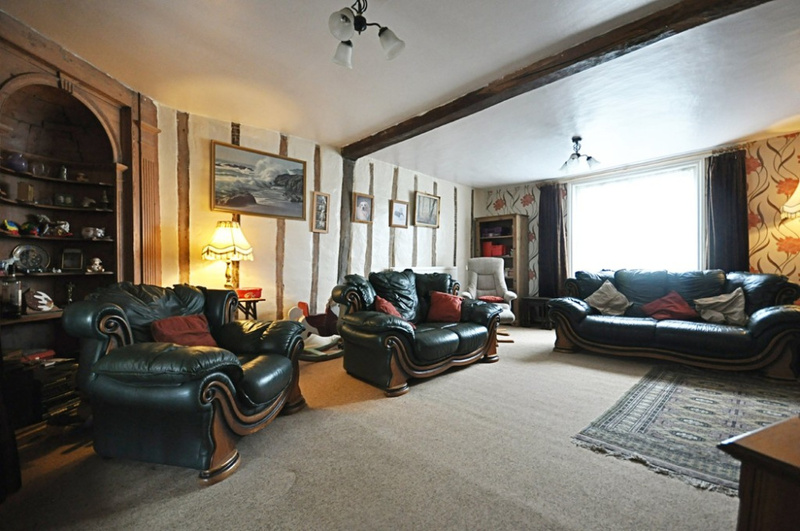 The villages still retain a beautiful assortment of many period and attractive properties many of which were centred around a large green steeped in history and believed to date back to 1258. There is still a strong and active local community helped by having an excellent range of day to day amenities and facilities with village shops, convenience stores, post office, doctors surgery, public houses, schooling and fine church. 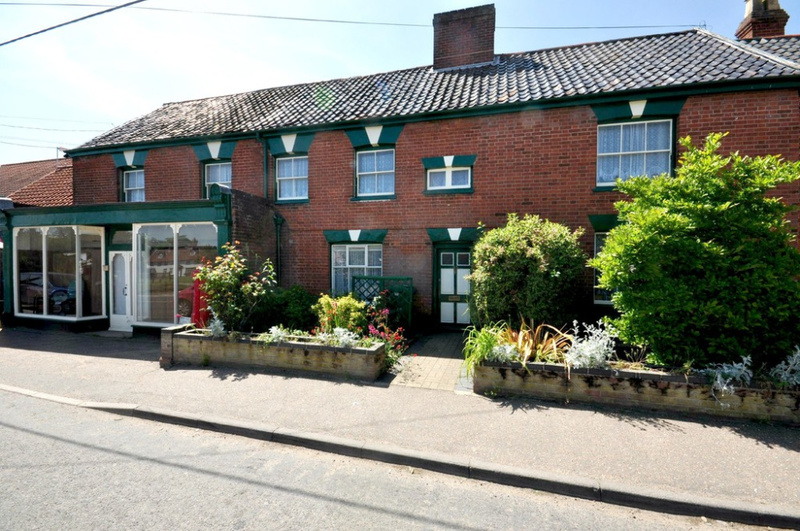 The village is found within the beautiful countryside of south Norfolk lying just ten miles to the north of Diss, (with Diss having the benefit of a mainline railway station with services to London Liverpool Street and Norwich). 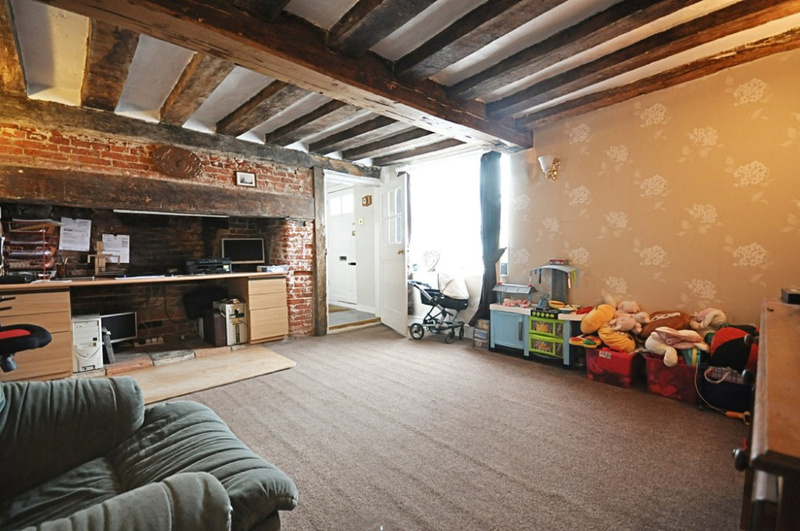 DESCRIPTION The property comprises of a four bedroom mid-terrace cottage, being grade II listed and believed to date back to the late 1500's. Being of massive oak timber frame construction under a pitched clay tiled roof, with part colour washed rendered elevations and with a latter brick façade to the front aspect. Internally there is an expanse of versatile living space with well-proportioned rooms and the accommodation being in the regions of 3600 sq ft (including the attic space). As one would expect to find in a property of this age there is a wealth of character and history, with the property having formerly being the local village store, milliners shop and haberdashery. 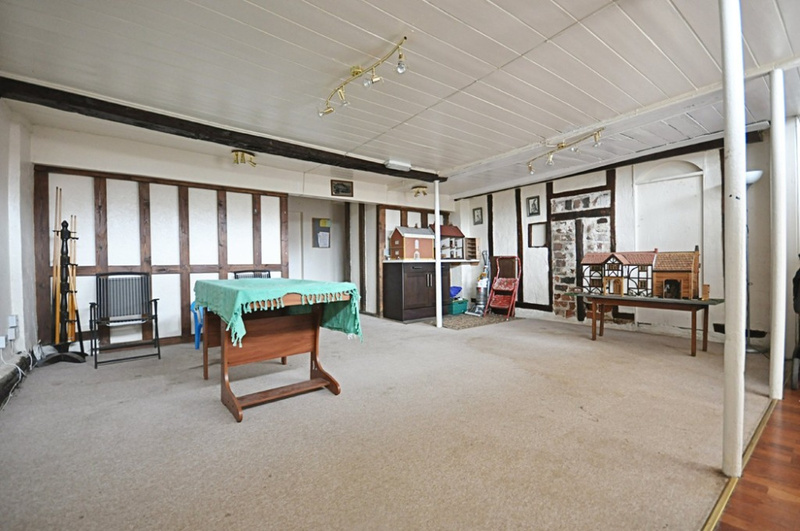 Part of the property still holds a commercial premises, (being only within reception room four) which was formerly the village shop. 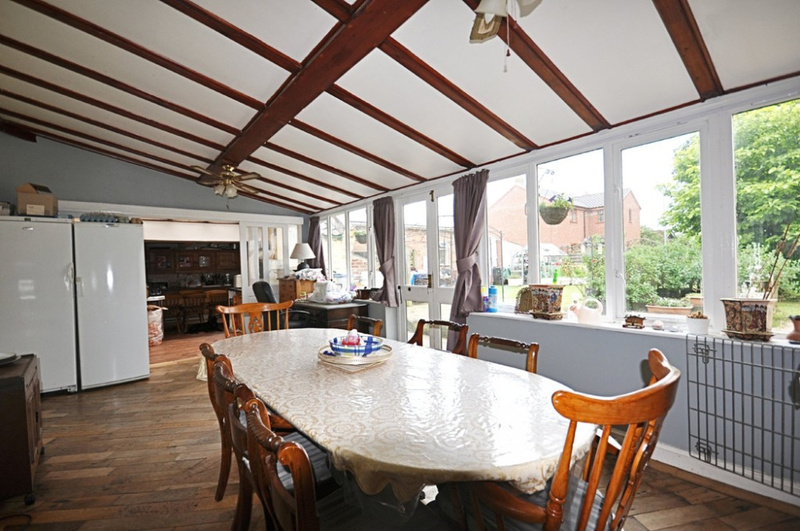 For further information regarding this please contact the selling agent. EXTERNALLY The main gardens lie to the rear, greatly enjoying a south westerly aspect, taking in all of the afternoon and evening sun. To the side boundaries there are two outside stores, (one measuring 9' 1" x 9' 10" (2.78m x 3.02m) and the other 9' 3" x 9' 10" (2.82m x 3.02m), To the rear boundaries a gate gives access round to the garage, (en-bloc) which measures 18' 6" x 34' 1" (5.64m x 10.40m) with electric roller door to front, power/light connected, storage space within the eaves, (boarded). ENTRANCE HALL: 4' 1" x 6' 11" (1.25m x 2.13m) Access via a solid wood door to front and tiled flooring. Secondary door giving access through to reception room one. RECEPTION ROOM ONE: 13' 1" x 13' 5" (4.01m x 4.09m) With window to the front aspect being heavily beamed and timbered. 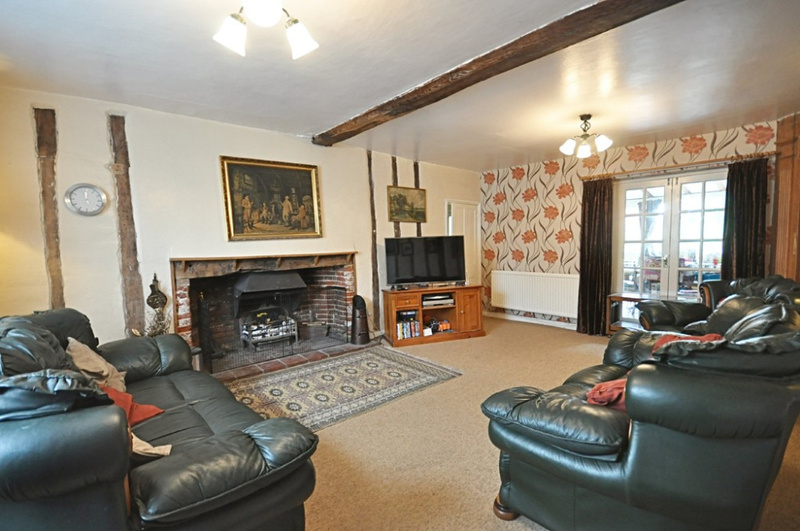 A particular focal point is the large inglenook fireplace with exposed inner red brick work, massive oak bressumer beam over and a tiled hearth. A period four panel internal door giving access through to the inner hall. 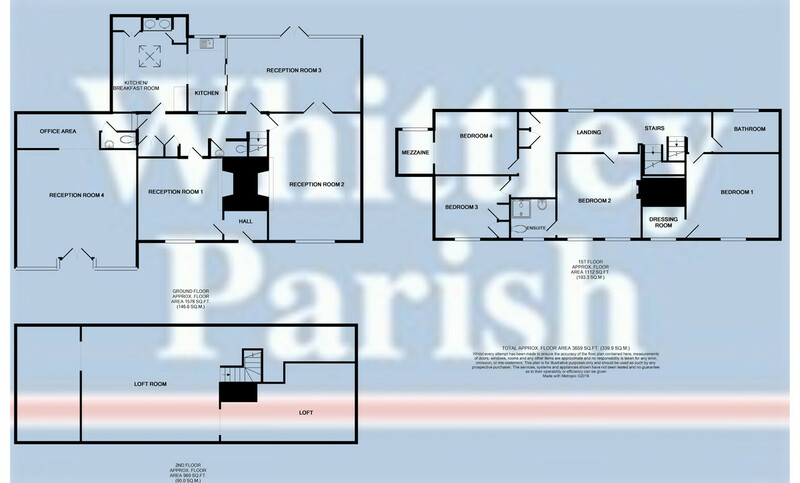 INNER HALL: 21' 3" x 6' 1" narrowing to 3'4" (6.49m x 1.86m narrowing to 1.02m) With triple built-in storage cupboard to side, further access to reception room two, reception room three, reception room four and kitchen/breakfast room. Cloakroom/wc to side. CLOAKROOM/WC: 2' 11" x 6' 1" (0.91m x 1.86m) Comprising of a low level wc and wash hand basin with tiled splasbacks. RECEPTION ROOM TWO: 20' 1" x 14' 8" (6.13m x 4.48m) With window to the front aspect and French doors opening through to reception room four. The focal point of the room is the inglenook fireplace with exposed inner red brick work, pamment tiled hearth and oak bressumer bream over. RECEPTION ROOM THREE: 12' 0" x 21' 4" (3.66m x 6.51m) With French doors and windows giving views onto the rear gardens and direct access onto the rear gardens. Oak panelled flooring. Sliding doors to side giving access through to the kitchen area. RECEPTION ROOM FOUR: 25' 5" x 19' 2" (7.76m x 5.86m) With window and access to the front with views onto the green. This area of the property still is held as a commercial premises having formerly been a shop. There is a partition wall giving room for an office area and further having the benefit of a cloakroom/wc. (wc 2' 9" x 5' 9" (0.84m x 1.76m) with low level wc, wash hand basin and tiled floor). 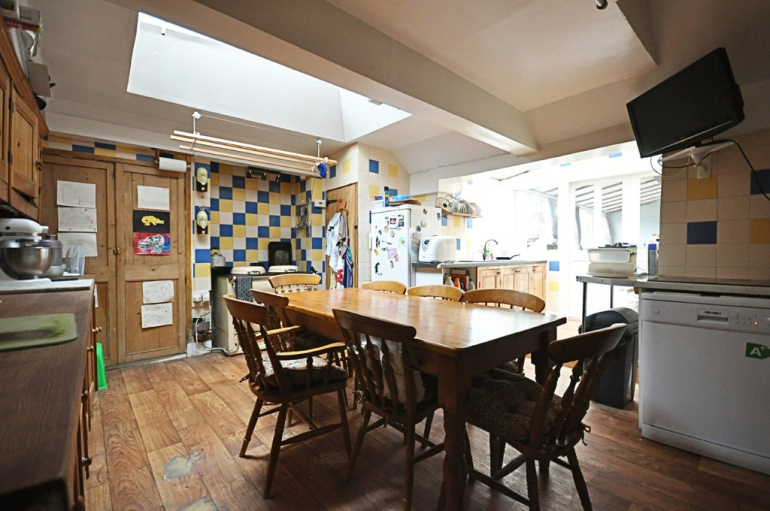 KITCHEN/BREAKFAST ROOM: Separated in two areas, (kitchen 11' 7" x 5' 8" (3.55m x 1.73m) With window to the rear aspect and open arch connecting through to the breakfast area. Roll top marble effect work surfaces with inset sink and utility area to rear with space and plumbing for automatic washing machine and tumble dryer. Breakfast area 16' 10" x 12' 4" (5.15m x 3.77m) With Velux window above, a good range of wall and floor unit cupboard space with solid wood worktop surfaces over and fitted Aga to side. 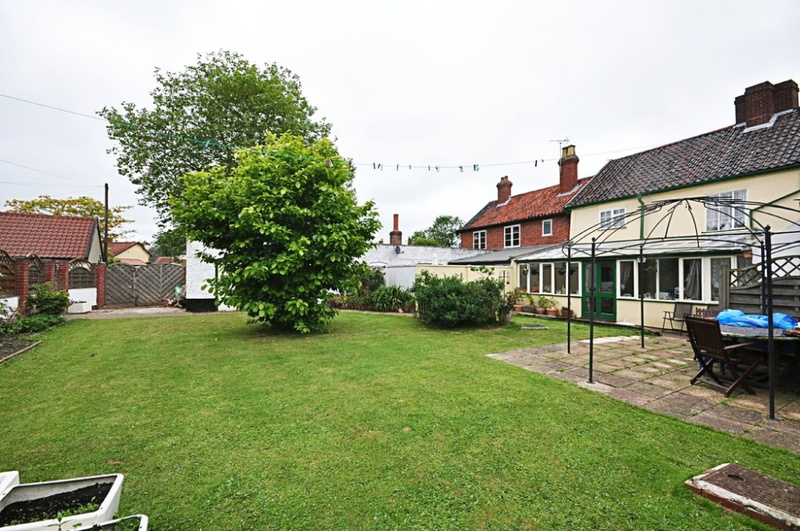 LANDING: 3' 11" x 11' 3" further extending to 4' 10" x 19' 1" (1.20m x 3.45m further extending to (1.49m x 5.82m) With window to the rear aspect and period four panel internal doors giving access to the four bedrooms and family bathroom. Further access with stairs rising to second floor level. BEDROOM ONE: 13' 6" x 14' 7" (4.14m x 4.47m) With window to the front aspect being an extremely large master bedroom with the luxury of a dressing room to side measuring 6' 10" x 6' 11" (2.10m x 2.11m) and further window to front. BEDROOM TWO: 14' 6" x 12' 11" (4.44m x 3.95m) With window to the front aspect being another extremely large double bedroom. Further having the luxury of en-suite facilities. EN-SUITE: 6' 1" x 5' 4" (1.86m x 1.64m) With window to the front aspect being fully tiled and comprising of a tiled shower cubicle, low level wc and wash hand basin. BEDROOM THREE: 9' 8" x 13' 1" (2.96m x 4.00m) With window to the front aspect and being a good double bedroom. Elevated views to front over green. 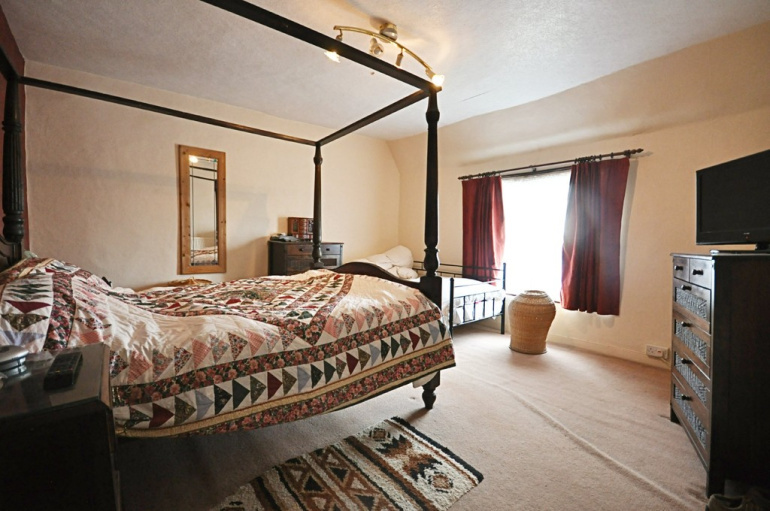 BEDROOM FOUR: 9' 10" x 13' 3" (3.02m x 4.05m) With window to the rear aspect being a large double bedroom further having a mezzanine area measuring 7' 3" x 5' 8" (2.21m x 1.74m). BATHROOM: 6' 3" x 10' 9" (1.93m x 3.30m) With window to the rear aspect and comprising of a corner bath, separate tiled shower cubicle, low level wc and wash hand basin. The attic being boarded and electric/light laid on measuring 15' 5" x 18' 9" (4.71m x 5.73m) with the second area measuring 15' 5" x 13' 6" (4.71m x 4.12m).